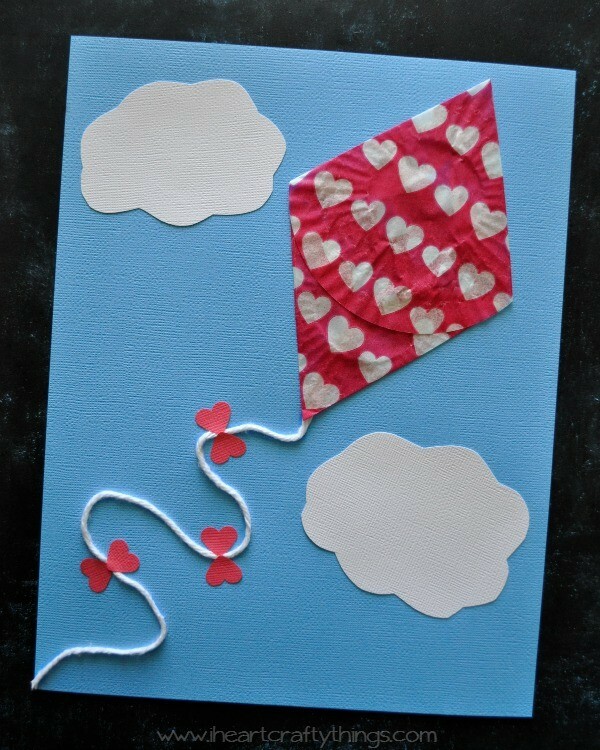 We have had a couple of windy days this week, perfect for flying a kite. The weather has been fabulous for time of the year too. It’s the beginning of February and we’ve already taken two trips to the park because it already feels like spring. It’s been heavenly! 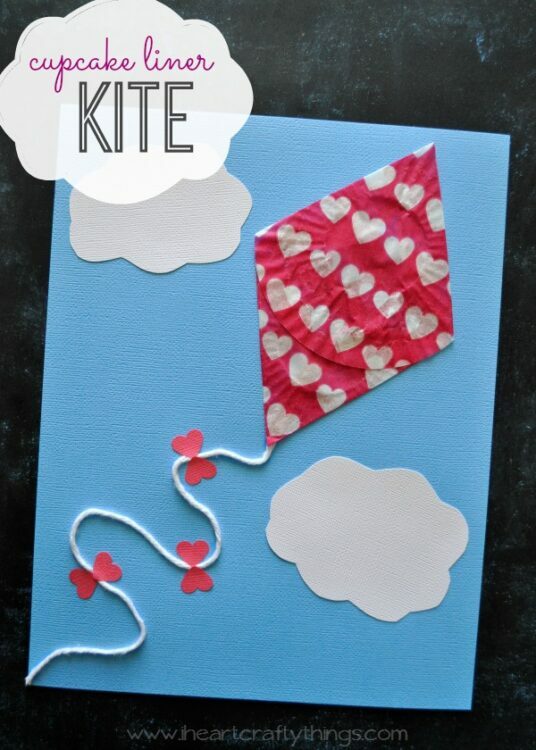 Our windy days inspired me to come up with this fun Cupcake Liner Kite Craft. 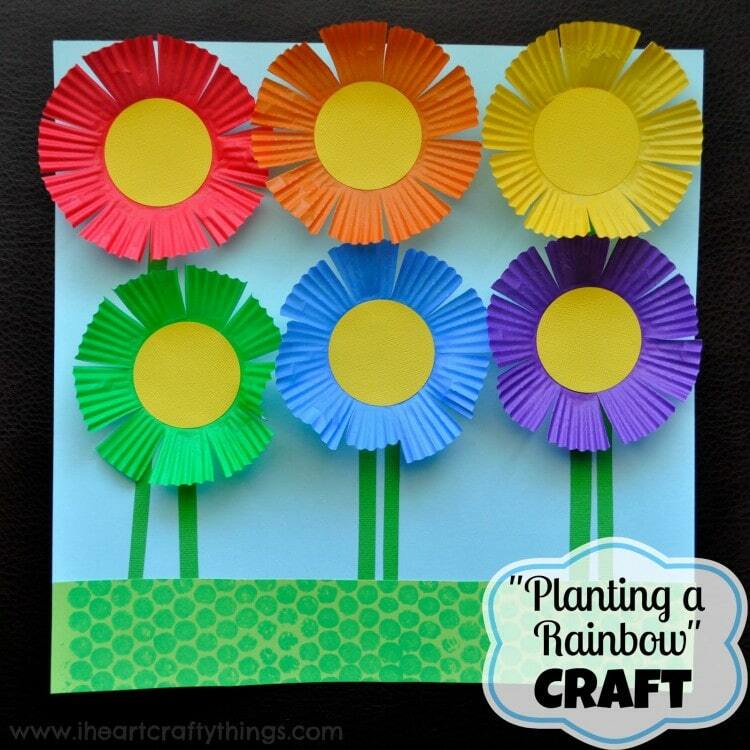 A perfect craft for a lovely spring day. 1. 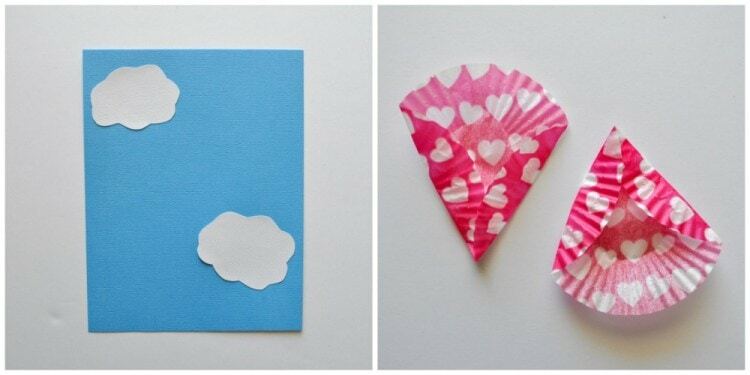 Start by cutting out 2 cloud shapes from your white cardstock paper and glue them onto your blue sheet of cardstock paper. 2. 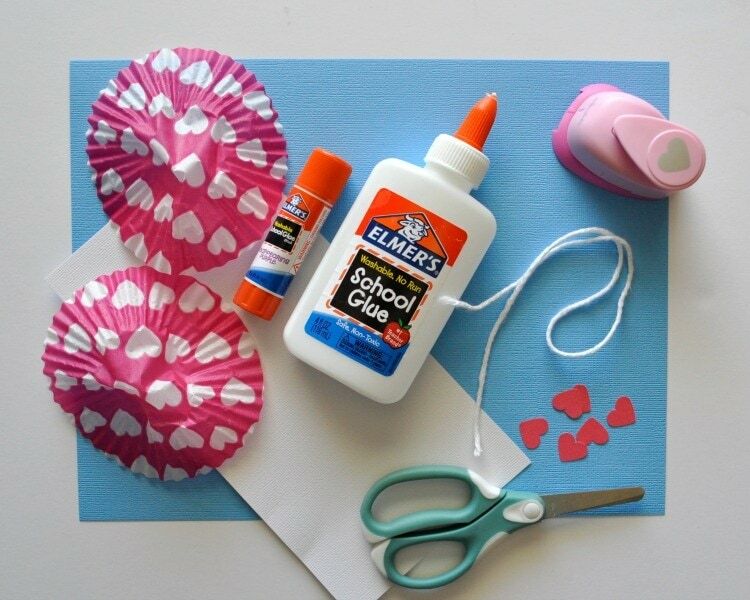 Fold in two sides of your cupcake liners to create a point. 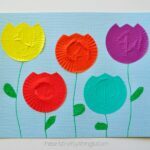 Use a glue stick to put some glue under the little folded flaps to hold them in place. 3. 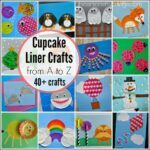 Glue your 2 cupcake liners together, making a diamond shape with a point on each end. 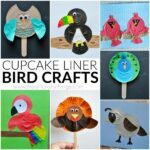 Below is a picture of the back of the cupcake liners after gluing them together. 4. 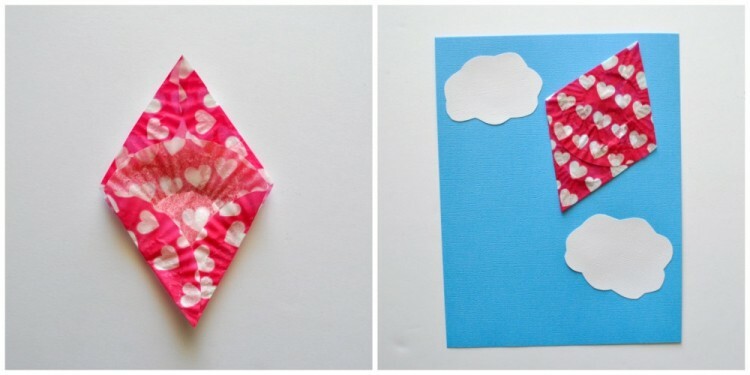 Glue your kite onto your blue sheet of cardstock paper. 5. Make a line of school glue from the bottom of your kite to the end of your paper, and add your white string onto the line of glue. 6. Cut six small hearts out form your heart punch. 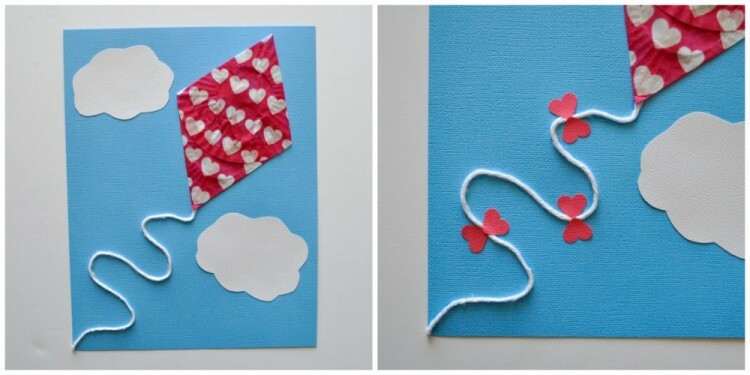 Glue them onto your white string with 2 heart points facing each other to make a small bow. So cute! Will try to do this for our “shape book”!